#GiveEmtheBoot Events Coming Up in Sydney! Public Meeting. Tuesday, July 17th Launch of the #GiveemtheBoot Project “Keep Australia Out of US Wars” LIVE FEED FROM OZANTIBASES on FACEBOOK Speakers: Senator Lee Rhiannon, Greens Senator NSW Richard Broinowski Nick Deane, Independent Peaceful Australia Network Australian Needs an Independent Foreign Policy Richard Broinowski will speak on peace for Korea and Australia’s role; Lee Rhiannon on… [Read more] #GiveEmtheBoot Events Coming Up in Sydney! 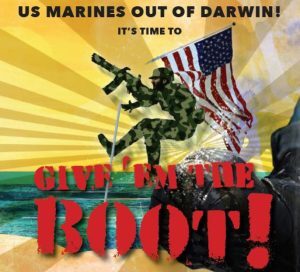 The presence of US marines on Australian soil is a radical departure from normal practice that has never been fully explained Nick Deane The 2018 contingent of more than 1,500 US marines began arriving in Darwin two weeks ago. 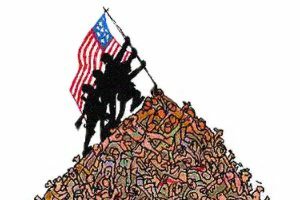 Every year since 2012 marines have been routinely stationed here, and, under the terms of the force… [Read more] US troops are now in Darwin. But questions remain as to why.